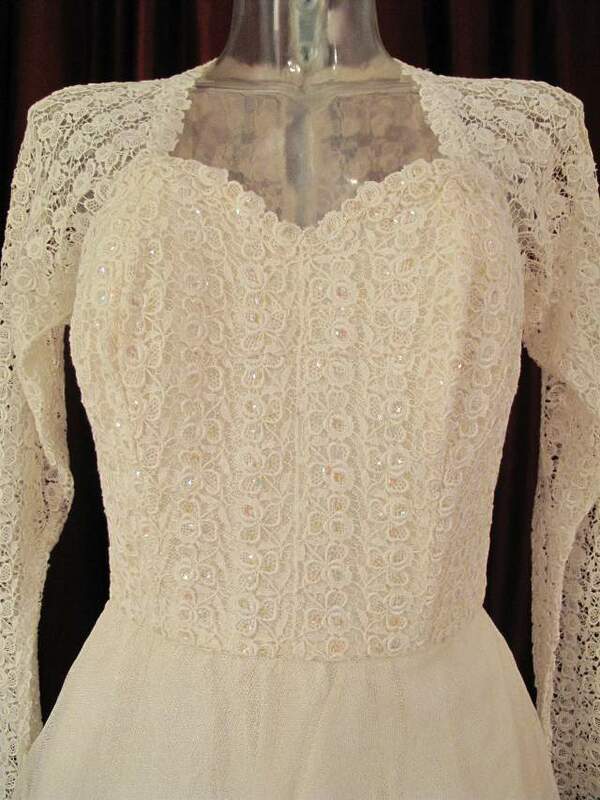 1950's Ballerina length sequinned and tulle vintage wedding gown. 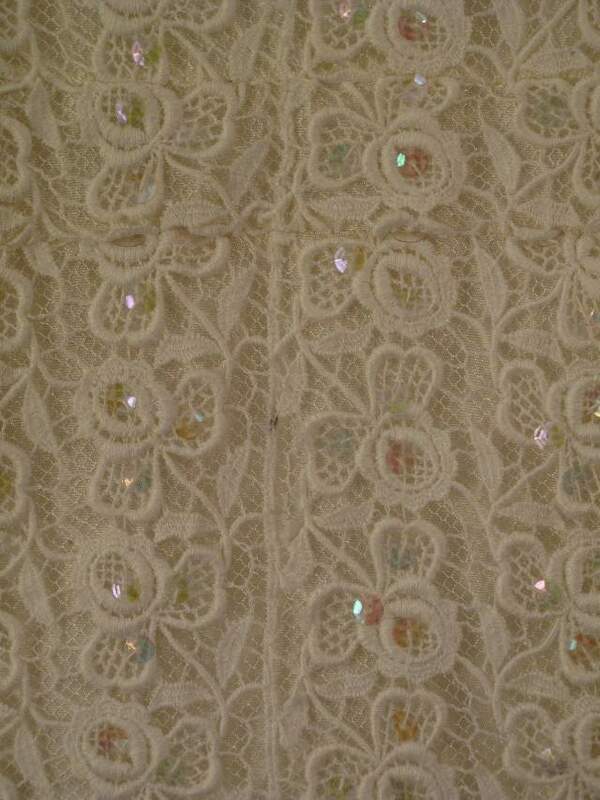 Ivory boned bodice covered with corded lace in floral /leaf design, scattered with clear iridescent sequins. 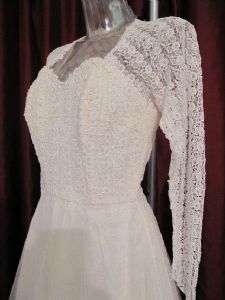 The open lace forms a sweetheart neckline and full length sleeves with 'V' shaped cuffs. 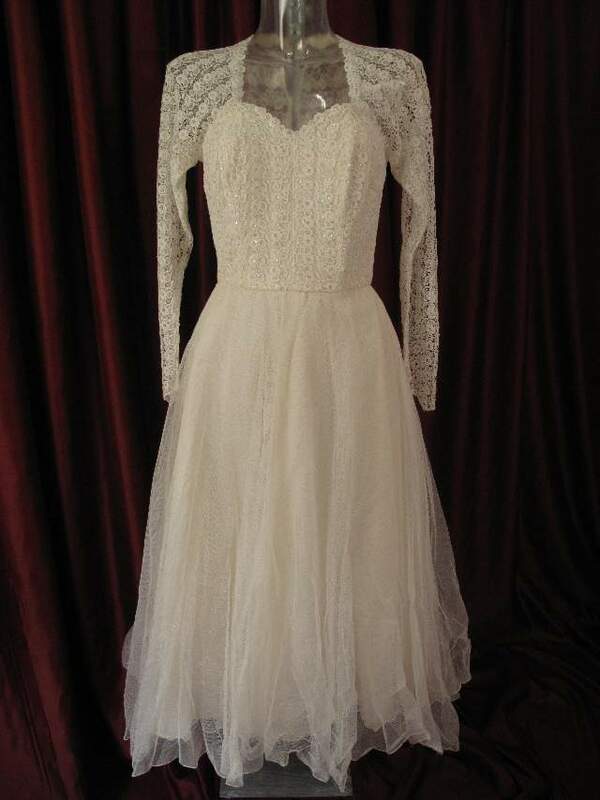 The 3/4 length circular skirt has two layers is silk tulle and an underskirt of ivory taffetta. 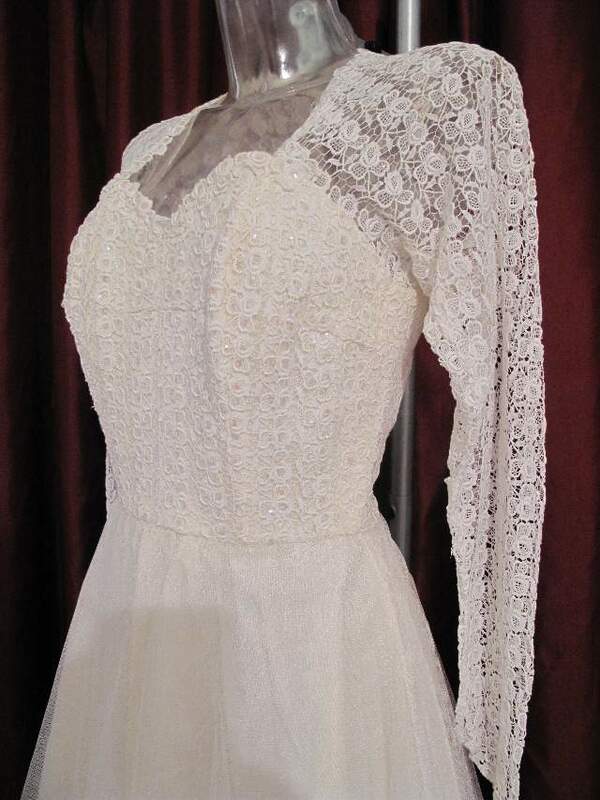 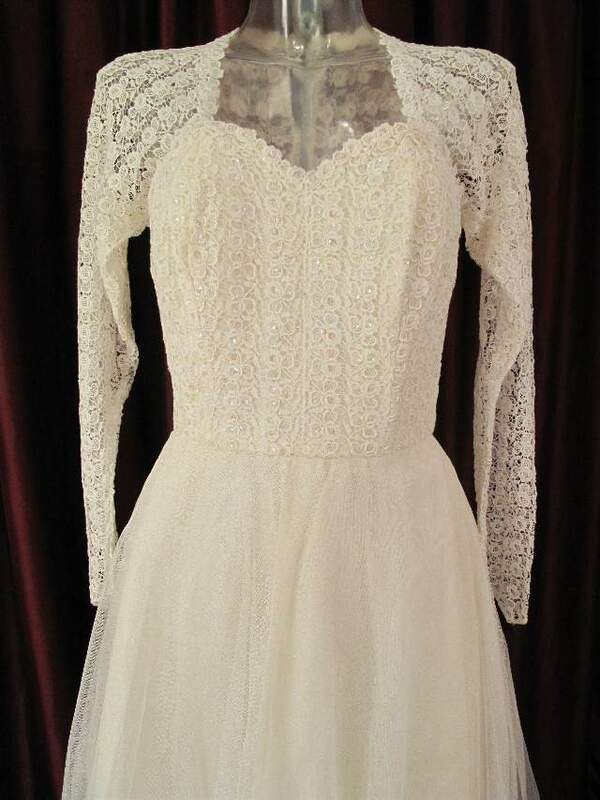 A lovely, classic 1950's wedding gown for a truly vintage style wedding.